Doris Jean (Cornell) Snider died peacefully in her sleep, at her home surrounded by family, on Monday, February 4, 2019 at the age of 76. She was born June 28, 1942, a daughter of the late Fred and Maxine Cornell. She married LeRoy in 1962 and graduated from Columbia Union College in 1964 with her Bachelor’s Degree in Nursing. 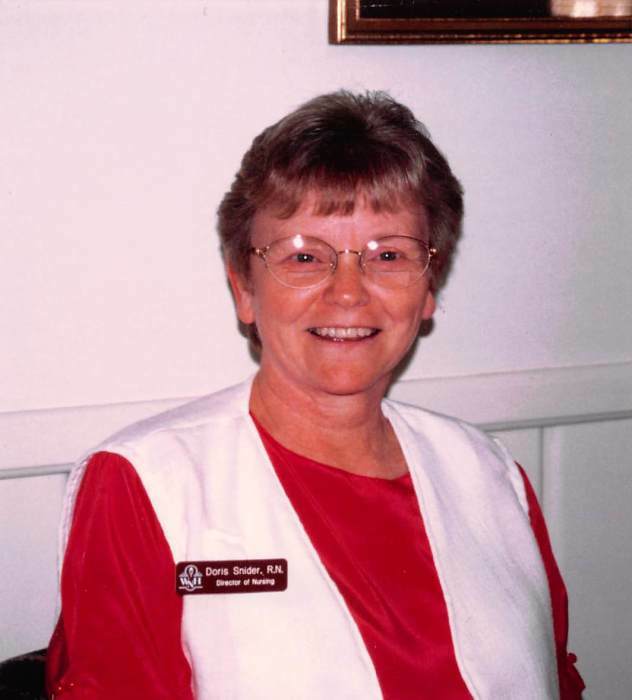 Doris was the director of Rambo Health Center in Zanesville for ten years. She was also actively supported the foster children of Muskingum County by organizing new clothing drives. She worked at a job she loved touching patient hearts for fifty four years. Doris was a member of the Seventh-day Adventist Church and was very involved in their women’s ministries outreach programs. Doris was a wife, a mother, a nurse, and a friend, and will be missed by many. Doris is survived by her husband of fifty six years, LeRoy Snider; two daughters, Jennifer Snider and Traci (Tim) Cox; five grandchildren, Ashleigh, Kelsey (Zach), Abby, Maya, and Jonathan; a sister, Sheila (David) Martinez of Florida; and two brothers, Fred (Dottie) Cornell of West Virginia and Glenn (Barb) Devaughn of North Carolina. A Cremation-With-Care will take place with a memorial service to be held at 1:00 P.M. on Sunday, February 17, 2019 at the Zanesville Seventh-day Adventist Church, 824 Taylor Street, Zanesville with Daniel Snider officiating. In lieu of flowers, memorial contributions may be made to the Genesis Hospice-Morrison House, 713 Forest Avenue, Zanesville, OH 43701. Dignified and professional services entrusted to BOLIN-DIERKES FUNERAL HOME & CREMATORY, 1271 BLUE AVENUE, ZANESVILLE, OHIO.